"Looking for Web Research or data entry projects." Able to provide assistance that includes: data entry, contact finding or email address research, web research. 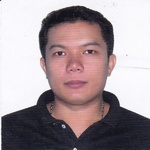 Experienced...Read more"Looking for Web Research or data entry projects." Able to provide assistance that includes: data entry, contact finding or email address research, web research. Experienced in data entry and web research for more than 2 years. Have knowledge in excel and google spreadsheet. Time is essence, will deliver quality output on time. Hire me and will do the best to assist you in your web research or data entry projects. I am available at around 5PM to 10PM Manila Time.